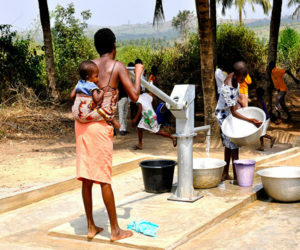 Looking to evaluate a water, sanitation, and hygiene (WASH) project? Need to analyze a particular country’s WASH enabling environment? WASH projects fail all too often. Five or ten years later pumps are broken or the water source is abandoned. There are many reasons for failure in hardware, finances, behavior change, etc. The sector is always learning from failure and needs to continue to do so. Otherwise, it is a waste of effort, of donor funds, and of good will. Learning from failure in the WASH sector to is the only way to improve. I have read dozens, if not hundreds of evaluations. There are answers to be found– in project and sector evaluations, and from stakeholders and feedback in the field. Sometimes the answers can be found in institutional issues– decentralization, political will, or even corruption. I cannot emphasize it often enough: WASH sector governance matters. No matter how complex, the enabling environment should not be ignored. I have seen these issues in projects throughout Asia and Africa. I’ve seen them on the ground in Tanzania, Ghana, and Madagascar. They are real. Want to document your successes? Documenting and learning from successes at the sector and project/program levels is just as critical as spotting failure. Although every context is different, one is always looking for successes to extend, continue, and replicate. I’ve worked with the USAID Water Team on two knowledge management contracts (Water Tracking, Estimating, and Reporting Support (WaTERS) and Water Sector Communications and Knowledge Management (WS/CKM) programs, provided technical assistance to USAID Water Team for communication products in water, sanitation, and hygiene, water resource management, and climate change. Outputs from this work included articles in the USAID ‘Global Waters’ publication and USAID ‘Real Impact’ case studies. I have worked with the World Bank Water and Sanitation Program (WSP) to find enabling environment challenges and successes under the Documenting and learning from implementing rural sanitation at scale in Tanzania project. Additionally, as a WASH Documentation Consultant for UNICEF Ghana, I helped document best practices, challenges, and innovations in current and recent UNICEF projects in urban and rural Ghana.